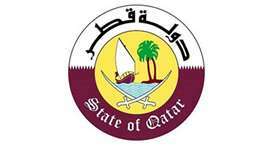 Sheikh Saif bin Ahmed said through this pact Qatar aims to "ensure that no blockade is ever imposed against another country, to create a platform for conflict resolution in the region." His Highness the Emir discusses ways to enhance relations in the fields of energy, economy, investment, culture, sport and health. The Prime Minister of Belgium, Charles Michel, welcomed His Highness the Emir and the official delegation, expressing his delight at the Emir's visit to Belgium. 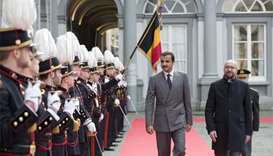 His Highness the Emir Sheikh Tamim bin Hamad al-Thani arrived on Monday in Brussels on an official visit to Belgium. 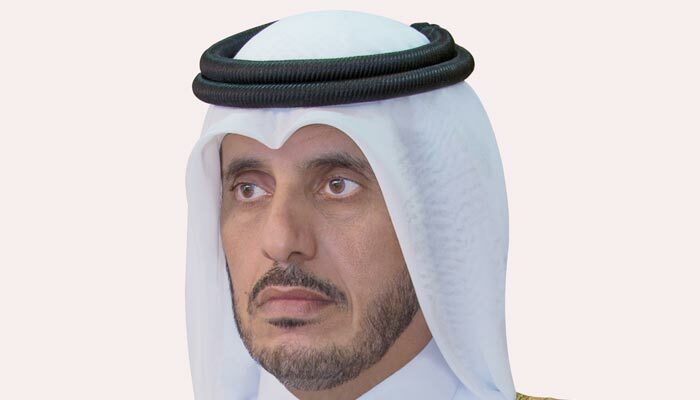 His Highness the Emir Sheikh Tamim bin Hamad al-Thani will head on Monday to Belgium for an official visit, followed by a state visit to the Republic of Bulgaria. Ivorian Minister of State for Defence Affairs Hamed Bakayoko delivered the message during a meeting with the Emir at Al Bahar Palace. 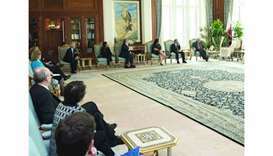 His Highness the Emir Sheikh Tamim bin Hamad al-Thani has received a written message from Burkina Faso President Roch Marc Christian Kabore. 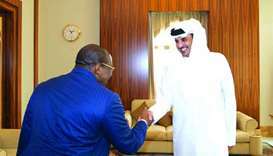 His Highness the Emir Sheikh Tamim bin Hamad al-Thani received a verbal message from President of Guinea, Professor Alpha Conde. 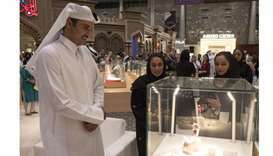 His Highness the Emir Sheikh Tamim bin Hamad al-Thani on Thursday visited the 15th Doha Jewellery and Watches Exhibition being held at Doha Exhibition and Convention Centre. 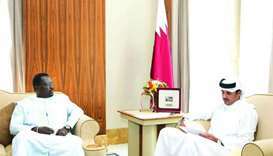 His Highness the Emir Sheikh Tamim bin Hamad al-Thani has received a written message from the President of Sudan Omar Hassan Ahmad al-Bashir pertaining to bilateral relations and ways of enhancing them. His Highness the Emir Sheikh Tamim bin Hamad al-Thani received on Wednesday morning at his office in the Emiri Diwan a delegation from the British Parliament.